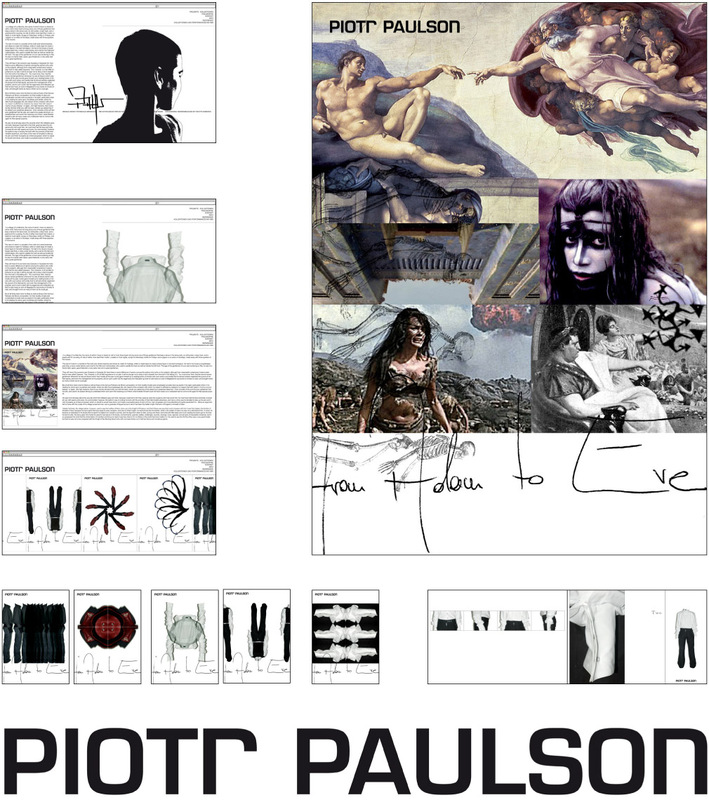 We developed the visual language on paper for ‘Piotr Paulson’ a fashion designer. The ci – consists of his name – logo, his sinature, and for his shows alwyas handwritten titeles. The graphic elements work with the duplication and mutation of the sujets. We organized the shooting and designed the presentation material. For his first show after the creation of the new ci, the show – performance ‘From Adam to Eve’ we did cards and a poster, and a general folder with all of his basic design elements.